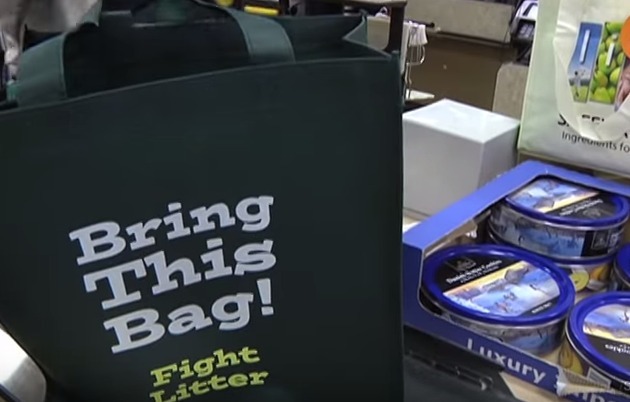 This photo came from Montgomery County Youtube channel, highlighting the benifits of their reusable bag campaign. Montgomery County has launched the second phase of a public outreach campaign promoting use of reusable bags. County Executive Isiah “Ike” Leggett joined by District 2 County Councilmember Craig Rice, Department of Environmental Protection Director Lisa Feldt and Executive Director of Trash Free Maryland Julie Lawson announced last week the County’s renewed efforts to promote use of reusable shopping bags. The outreach campaign focuses on increased awareness and education on the impacts of disposable bags on the environment, supporting retailers and the distribution of free bags to residents throughout the County. The County Carry Out Bag Law, Bill 8-11, was implemented on January 1, 2012 to encourage everyone to do their part to reduce litter in waterways, on streets and in parks by providing shoppers with an incentive to use their own reusable bags. 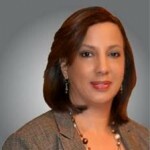 “In the 4 1/2 years since the disposable carry out bag law went into effect our environmental stewards tell us there are fewer plastic bags in our waterways," said Councilmember Rice who also serves as chairman of the Metropolitan Washington Council of Governments, Chesapeake Bay and Water Resources Policy Committee. "It also helps us meet our state and federal requirements by reducing trash within the Anacostia watershed. The disposable bag tax incentivizes residents to really think about our guardianship of our streams, rivers and the Chesapeake Bay and ensure that we do our part to keep our waters free from pollution and litter,” continued Rice. The law requires retailers to collect five cents for each paper or plastic carryout bag provided by retail establishments at the point of sale, pickup or delivery. Retailers retain one cent of each five cents for the bags they sell a customer. Proceeds from the law are dedicated to programs that fight litter and control water pollution. Free reusable bags are available at all Montgomery County Public Libraries as of June 20. In addition, free bags are available to families who use the Manna Food Bank. For more information about the law – for residents and retailers – including downloadable materials for businesses and community organizations, the campaign’s public service announcement, a schedule of upcoming outreach sessions, webinars for retailers and a community presentation, visit www.montgomerycountymd.gov/bag. For more information on the reusable bag education campaign or to request education materials contact Leslie Wilcox at (240)777-7780.